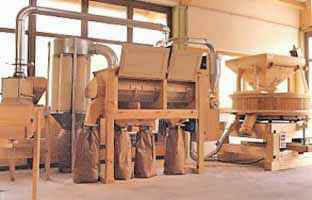 In fact, not every bakery wants to have and work with own mill. 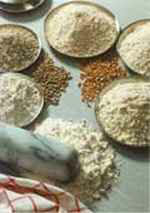 But everyone would like to have day-after-day fresh, healthy flour according to the daily needs. So the real life creates the place for the private enterprise – for the miller, who could offer and deliver daily fresh and good flour for the bakeries round there. 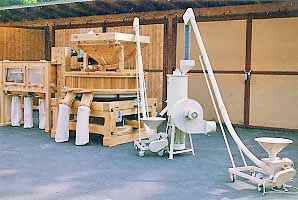 According to experiences of our customers, there are quite often certain association or syndicate of farmers – producers, who offer flour for bakeries and this way they fulfill their common interest to commercialize efficiently their production. In practice, the bakers distinguish very soon the differences in quality and taste of flour, that comes from specific farmers (in the mill`s store, there is usually the grain in many small silos, marked with the name of farmer), therefore the baker could order the flour “tailored to his needs” from particular farmer, thus taking advantage of small differences of taste and working properties of flour from different sources. 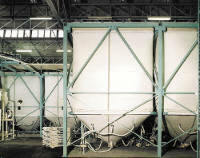 The flour requirements of bakers are varied and variable in compliance with current needs, therefore the milling technology has to be suitably assembled – to the basic stone-mill there comes classical sifter with two, three or four chambers, coarse middlings grader, sieve purifier and respective pneumatic transport. 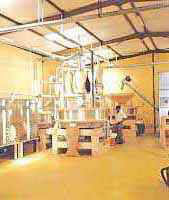 Wider range of machines allows to produce not only whole-meal flours, but as well white flour of any requested quality. Pictures from the testing stage of milling machines from company Green before the dispatch to the customer.